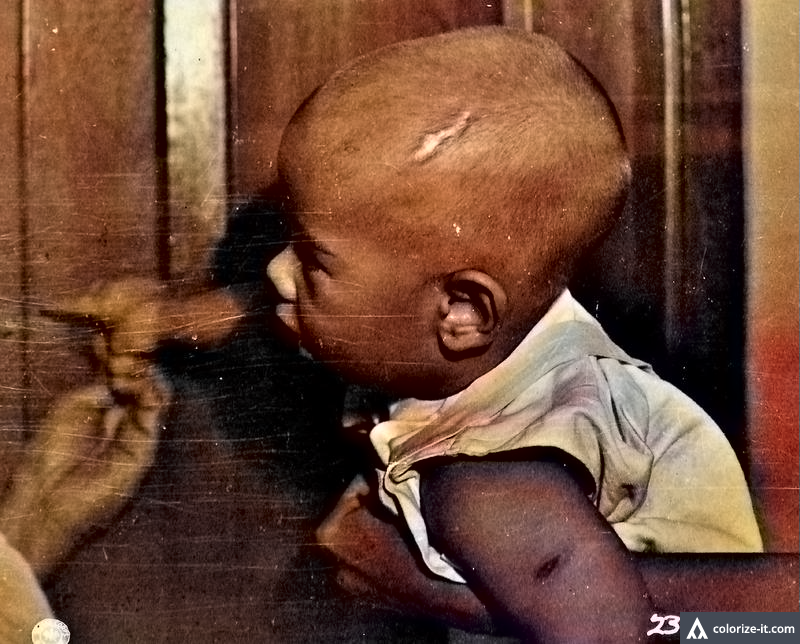 Photo of 1-year old baby with bayonet scar on his head. Image source: United States National Archives. The reader will please noted that Barrio Maabud is presently part of the Municipality of San Nicolas, which separated from Taal in 1955 to become a town of its own. Source: United States National Archives. The photo was colorized courtesy of Algorithmia.